Blue Well - News Archives - 300 Fans! Blue Well Official Facebook Page! 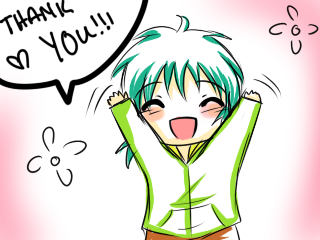 Blue Well has hit 300 fans which is more than I ever could have imagined! I'm very happy that you're all enjoying Blue Well and I love reading all your comments & messages. Sorry that I can't really respond to them. Smackjeeves needs to make a "reply" button or something. But please know I read every single comment and appreciate them all the same even if I don't respond. ~NYA-AWWW!! ^--^ I want to hug him!! Wow 300? so happy for you! Hm, when I reply to someone's comment I usually just add a comment to the page or use the next page and respond back in the lil author section.